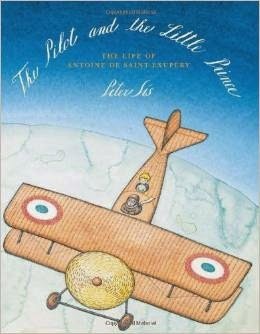 The Pilot and the Little Prince: The Life of Antoine de Saint-Exupéry by Peter Sis (Farrar Straus Giroux). My Teacher is a Monster! (No, I Am Not.) by Peter Brown. A boy with a penchant for irritating his teacher encounters her outside of school and finds her to be an entirely different creature. Brown's pictures are funny and Ms. Kirby's illustrated metamorphosis into a human being is gradual and pretty darn great. 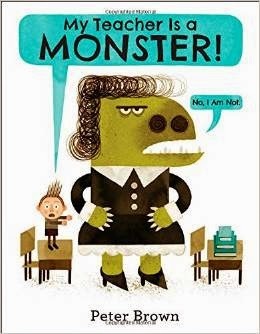 This book, despite it's laughs, has an unexpected depth and speaks volumes about teacher/student relationships; the only disappointment is that when Robert regresses into his bad behavior back in the classroom at the end of the book, Ms. Kirby is depicted as the monster instead of Bobby. Deep in the Sahara by Kelly Cunnane and Hoda Hadadi. Beautiful story about a Muslim girl in Mauritania who will be allowed to wear the malafa (head covering) once she understands what it truly means. Recommended by The PlanetEsme Plan. Link for information; please support your local independent bookseller. 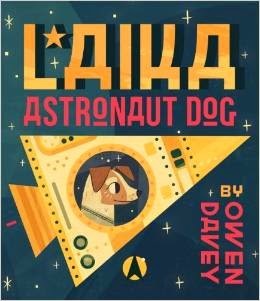 Laika: Astronaut Dog by Owen Davey. Striking, spot-on illustration inspired by vintage Russian poster art about the first dog sent into space. Ending is bittersweet, albeit fictional...I cried and cried and cried. A picture book tour de force. Recommended by The PlanetEsme Plan. Link for information; please support your local independent bookseller. 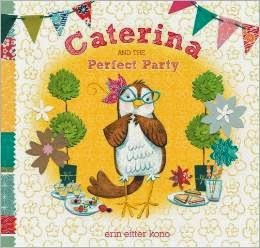 Caterina and the Perfect Party by Erin Eitter Kono. A little bird is getting ready to host her first party, how exciting! But when best laid plans go awry, it's the guest list that makes all the difference. Love how this story plots out the real steps it takes to plan a fête...perfect for future Pinterest pinners. Fetching, cheerful illustrations will make this a favorite! You're invited to read! Recommended by The PlanetEsme Plan. Link for information, please support your local independent bookseller. 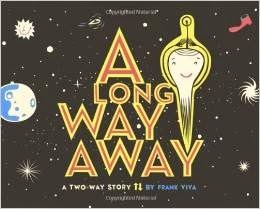 A Long Way Away by Frank Viva. A beautiful story, whether you read it back-to-front or front-to-back! Recommended by The PlanetEsme Plan. Link provided for information; please support your local independent bookseller.